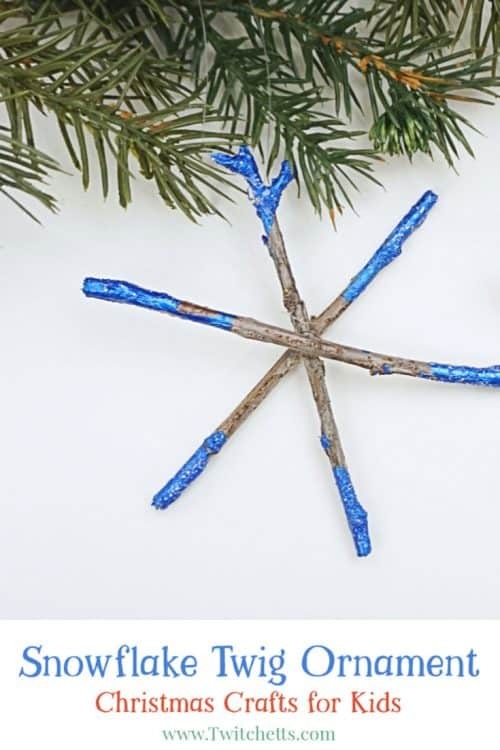 Create beautifully dipped twig snowflake ornaments using sticks from your yard! 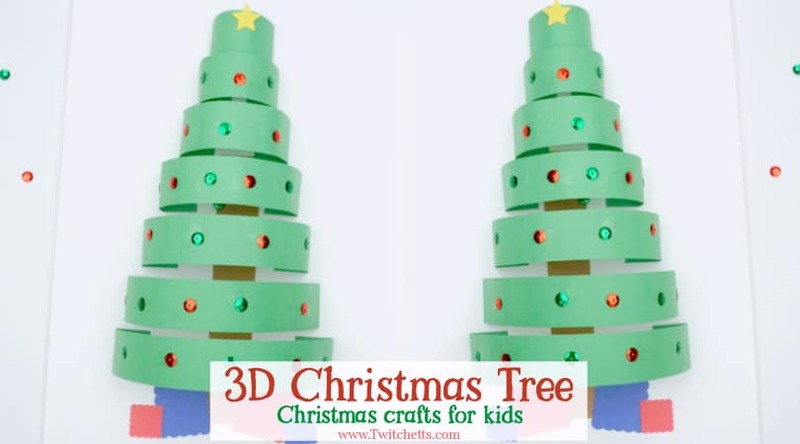 This is a great handmade ornament that kids can help create. And you may even get some help cleaning up your yard in the process! I have always been a fan of grabbing a bit of nature to craft with, but for some reason, we haven’t shared too many nature crafts with you yet! 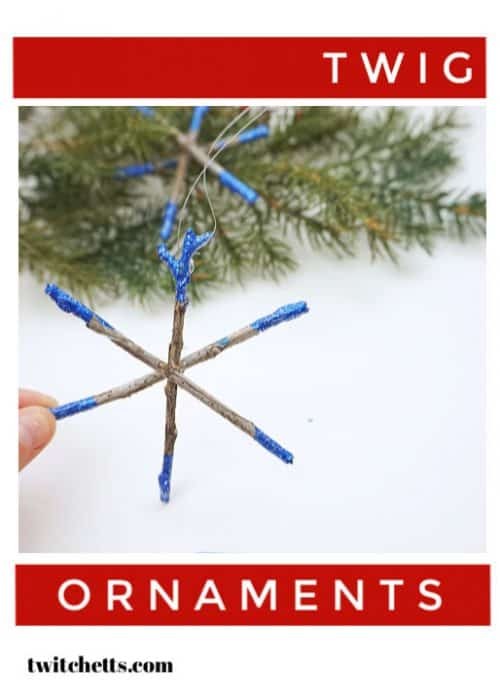 These snowflake ornaments are a perfect way to bring nature to your Christmas crafting. 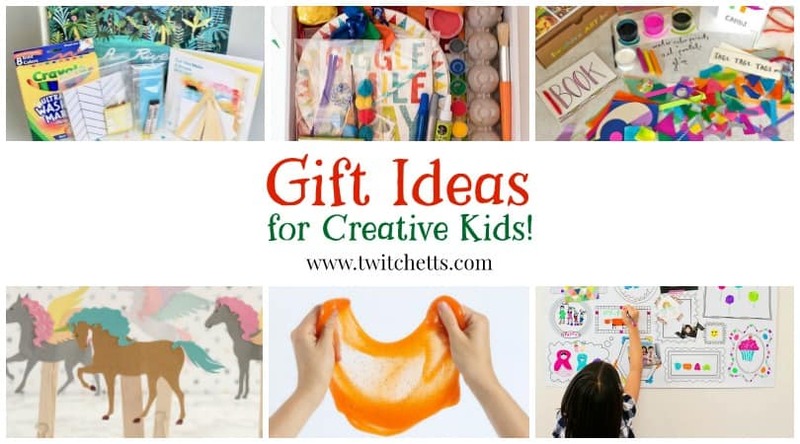 The supplies are pretty easy, so they would be fun to create with one or ten kids! I hope you enjoy these adorable snowflakes. 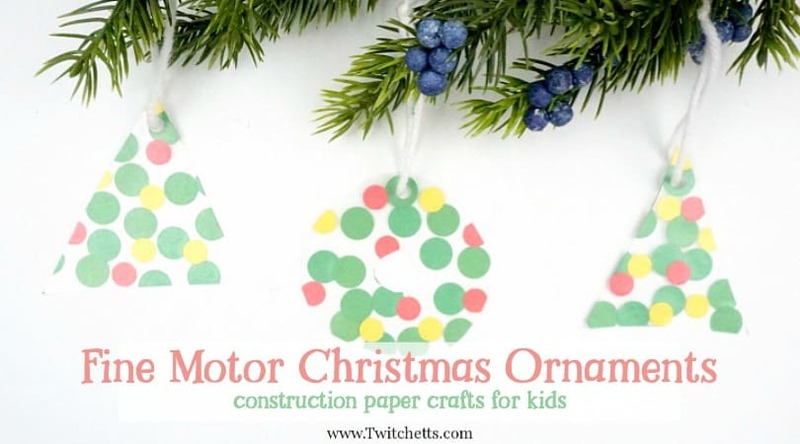 They make great ornaments or just beautiful winter decorations to keep up all season long! Craft Stick. Or something to stir paint. 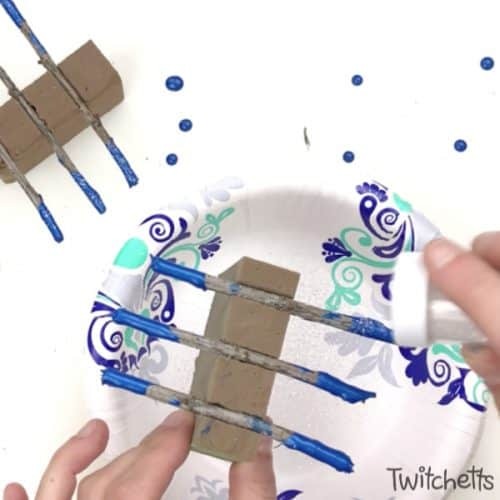 Glue Gun and Hot Glue. 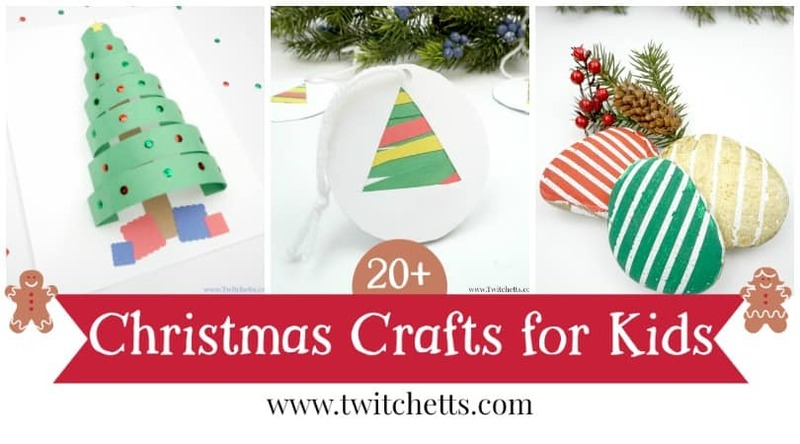 Need supplies for your handmade ornaments? 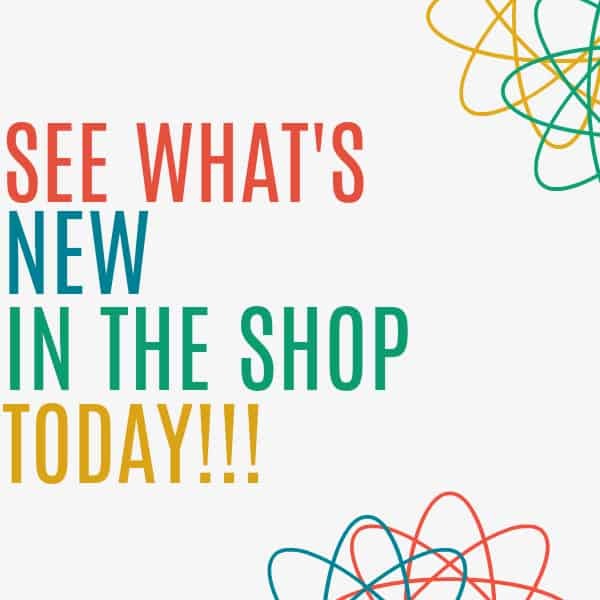 Check out our Amazon shop!! 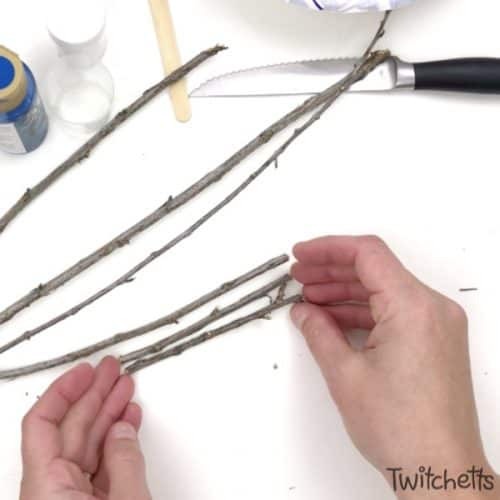 Start by breaking your sticks into 3 equal pieces. You may want to score the stick first with a pair of scissors. 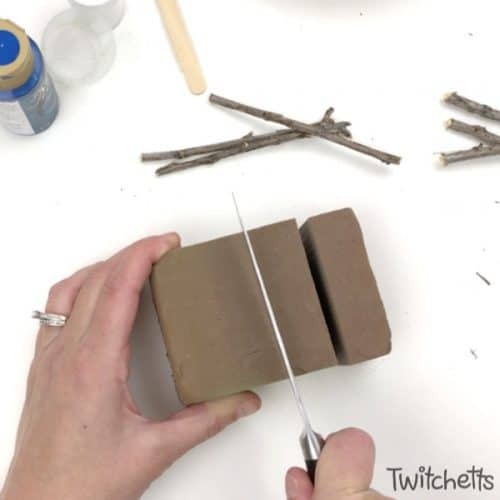 Now take a piece of your foam and slice it into a smaller piece. This is very easy to do, but be careful. 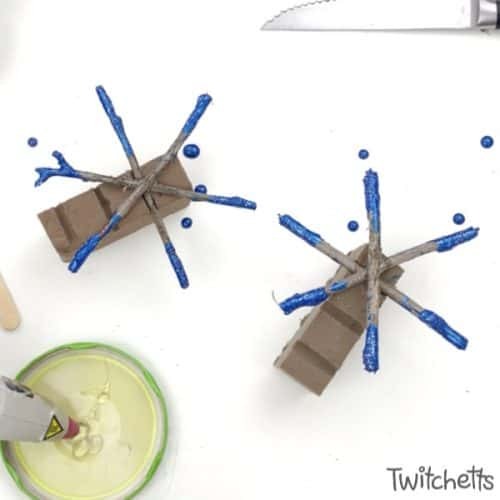 Press your sticks into the foam and make sure they are hanging over the edge on both sides. Next, you want to prep your paint. 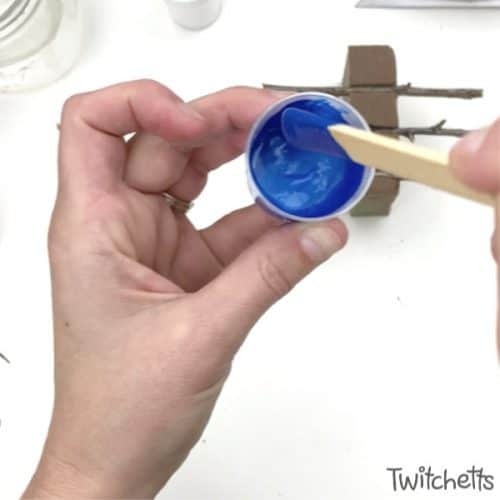 Use something small, like a medicine cup, to mix your paint. Add a bit of water to thin it out a bit. Thinner paint will help create a nice smooth dip. Make sure to mix it until it is all the same consistency. Now start dipping your sticks! Dip both sides and then place them back into the foam. As you work your way through your sticks you may have to turn your cup on its side to get farther up the stick. Time to add some glitter! 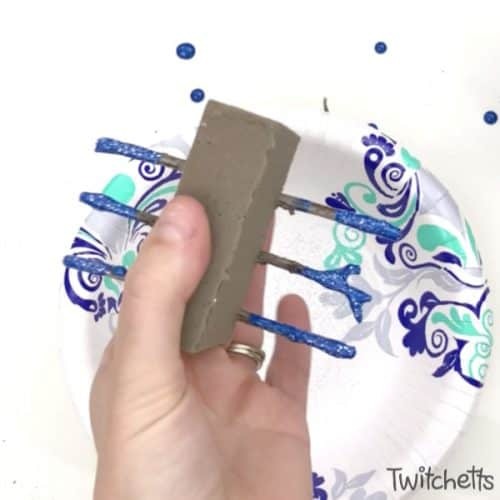 Do this over a paper bowl or plate so you can save all the glitter that doesn’t stick. Don’t forget to flip over and do the backside! 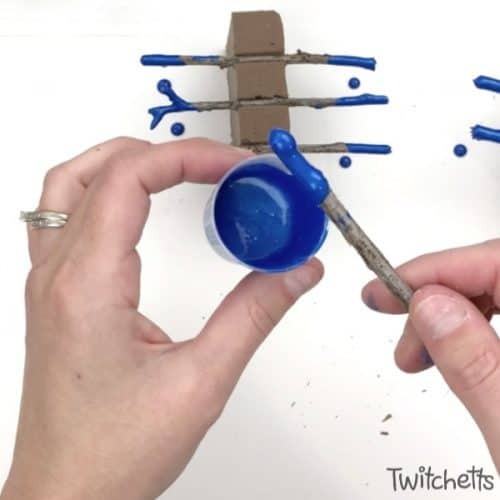 Note: the sticks should stay in place when you flip them, but you can put your fingers over them just in case! Set your sticks aside to dry. Now assemble your snowflakes. 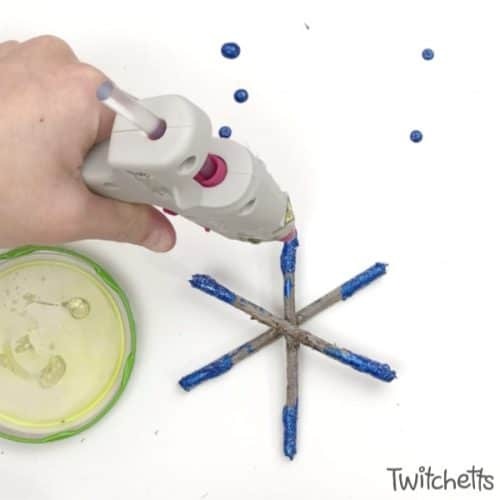 I use hot glue to assemble my snowflake ornaments. 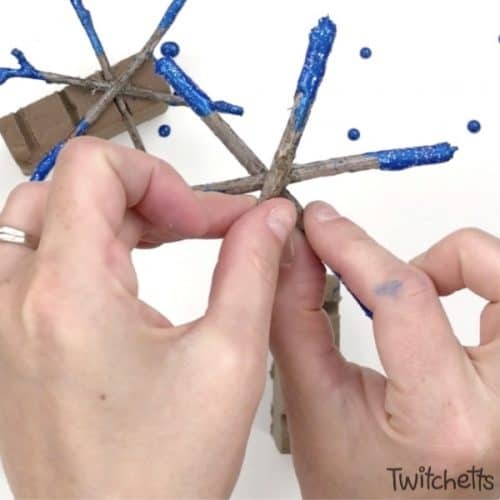 Hot glue can be used with older kids and adult supervision. Just teach them to be careful. If your children are younger go ahead and assemble them for the child. Start with a wide X shape. 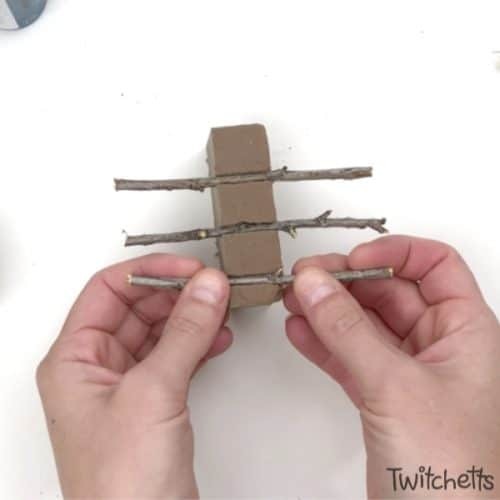 Then add the third stick to cut the X in half. Place them back in your foam while the glue sets. 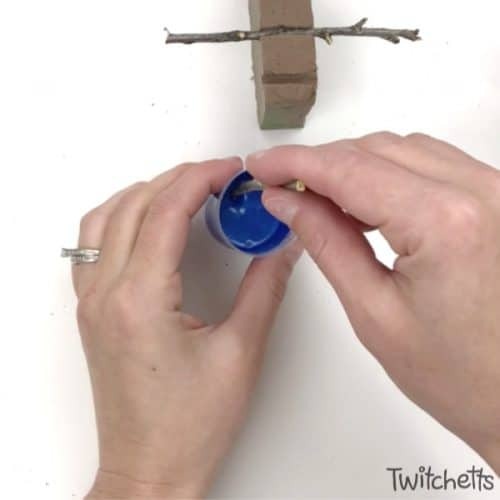 Last, add a dab of glue at the top of one of the sticks to attach the string. 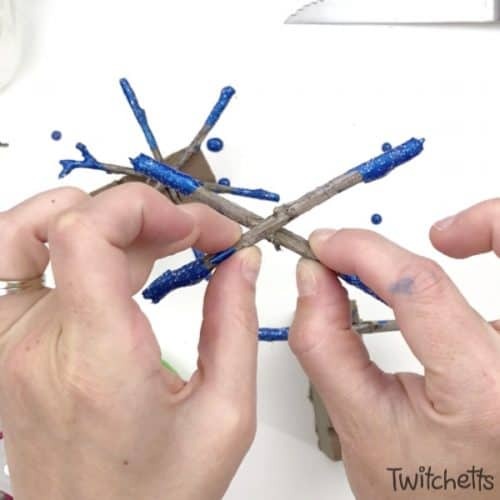 I love how these twig ornaments sparkle on the Christmas tree. 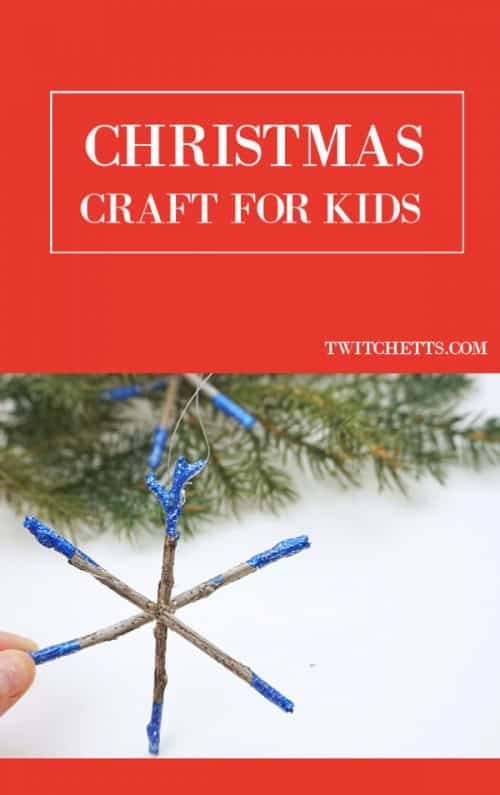 If you enjoyed this rustic Christmas ornament, please pin it to your favorite Pinterest board!